THE SKINNY: e.l.f. 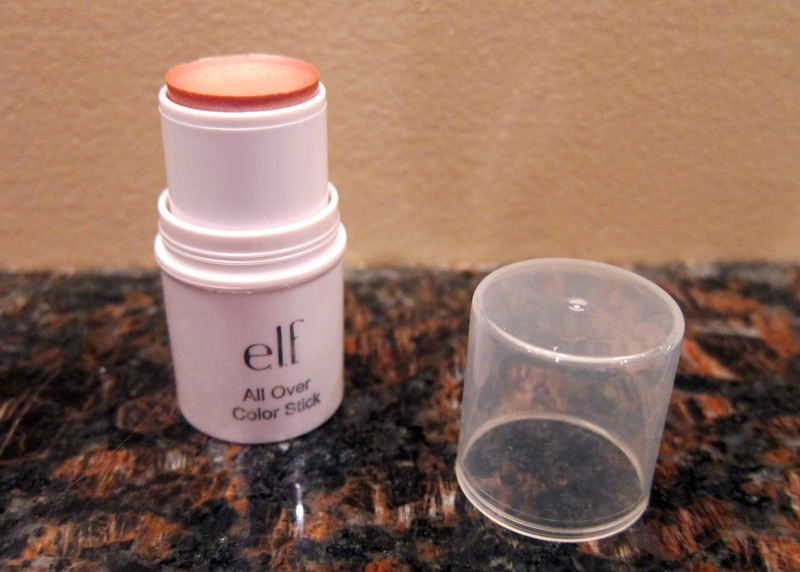 's All Over Color Stick is made to add a peachy glow to your eyes, cheeks or lips. For $1, I feel like I got my money's worth. The creamy color stick blends into my fair skin nicely, giving my just a hint of color and the faintest sparkle. (I tried "lilac petal," a brownish pink.) The product has the consistency of ChapStick, so it doesn't quite glide on as you might hope. That color lasts a decent amount of time for a $1 product, especially if you apply "liberally" as the e.l.f. website recommends. While not as striking as theBalm's Staintastic, this is a great and inexpensive option for a weekend outing when you don't want to look obviously made-up. CHECK IT OUT: All Over Color Stick comes in six pinky and peachy colors. See them all online.